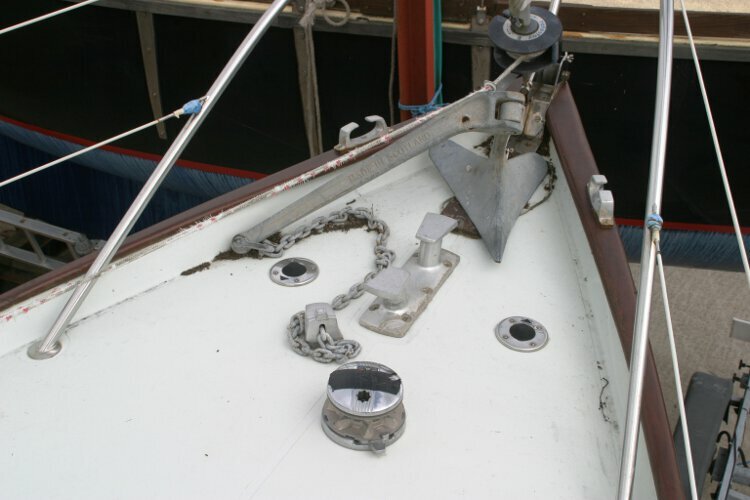 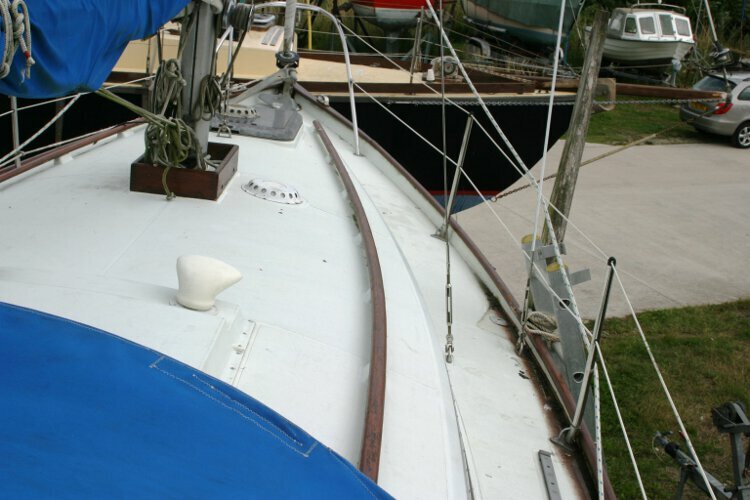 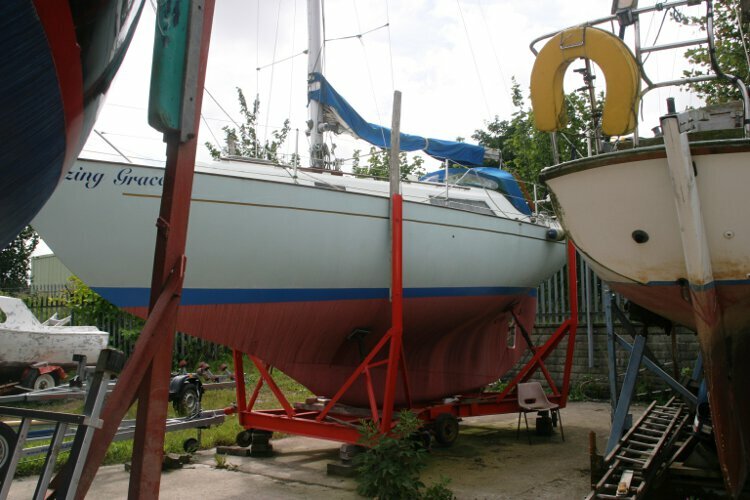 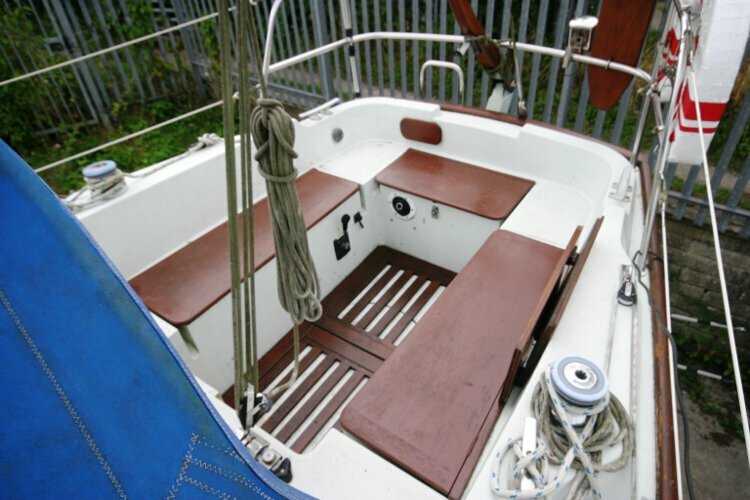 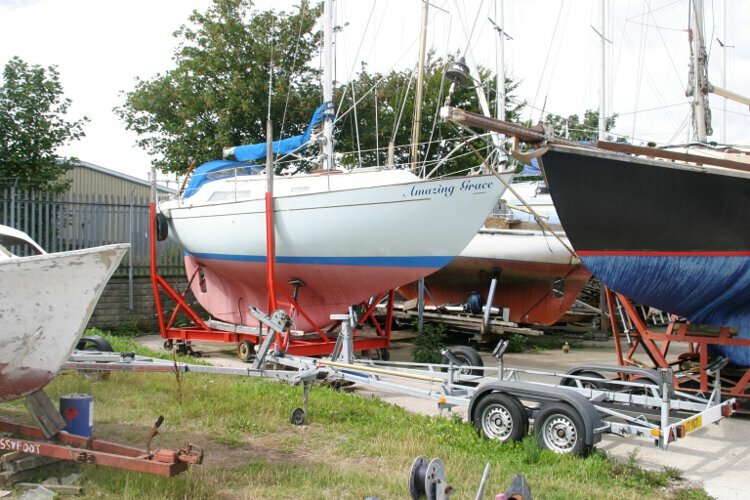 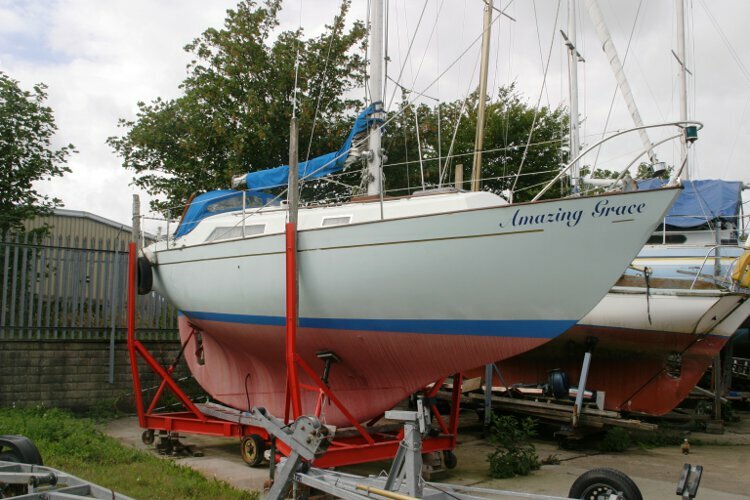 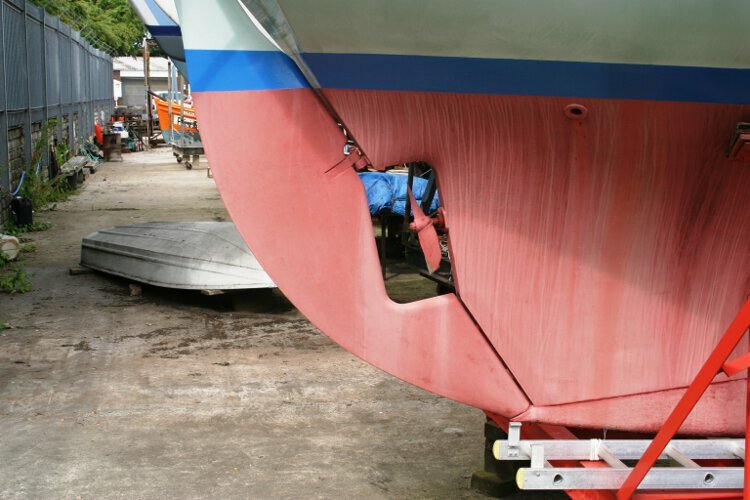 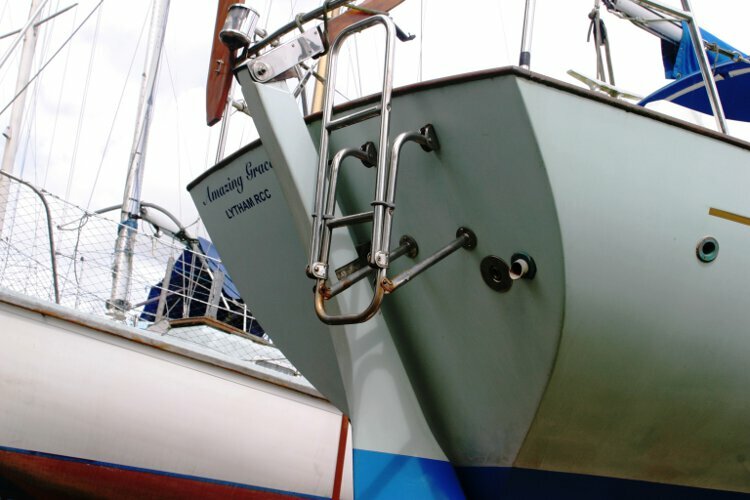 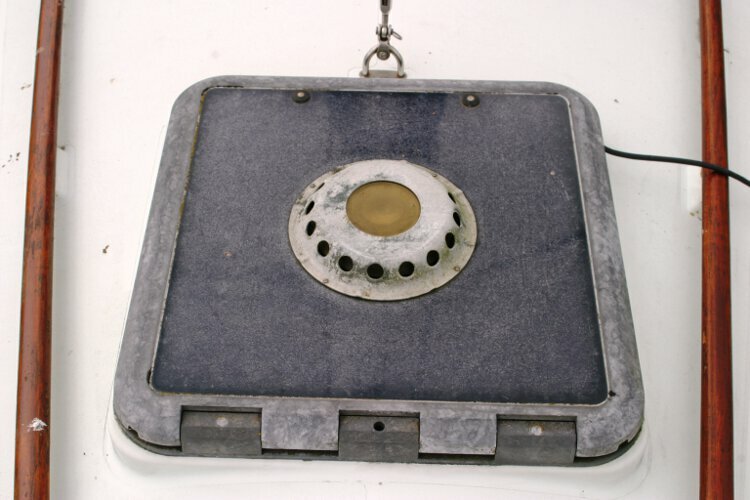 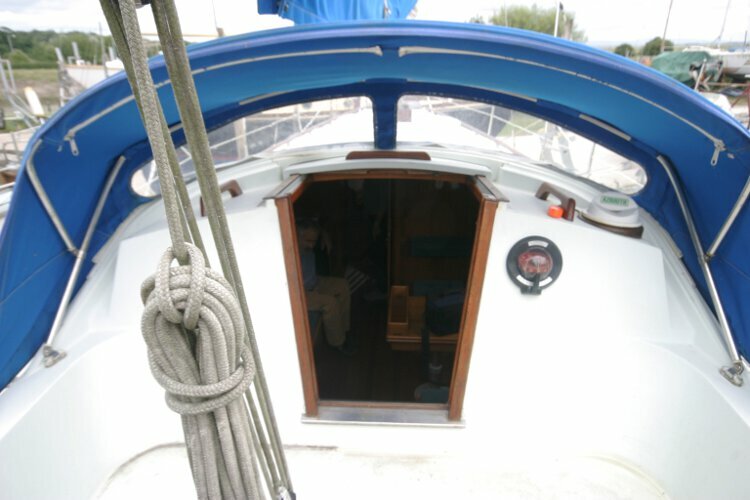 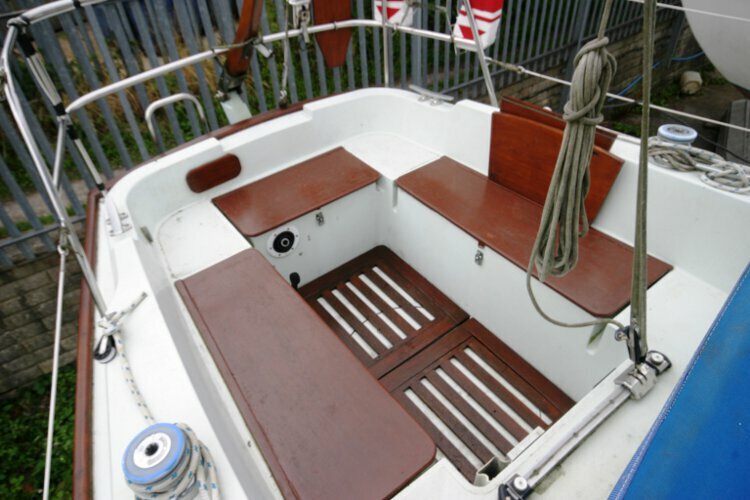 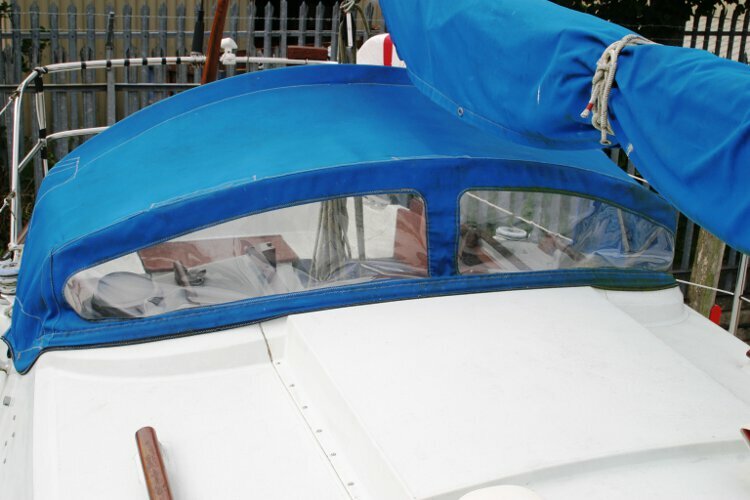 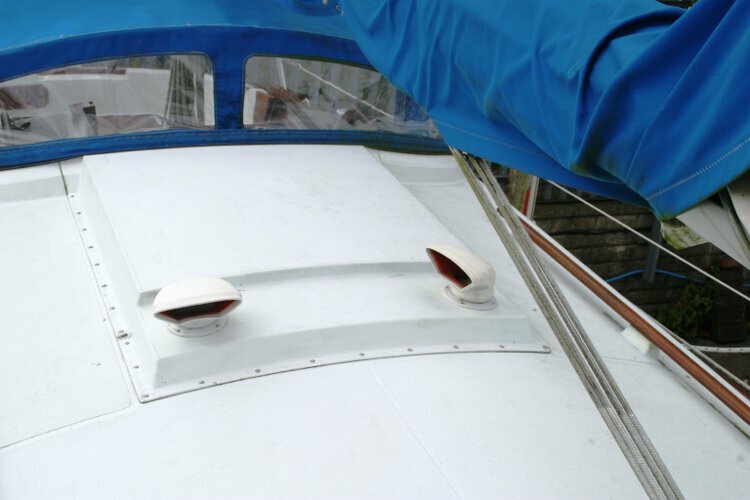 On her yard cradle, note the long keel design. 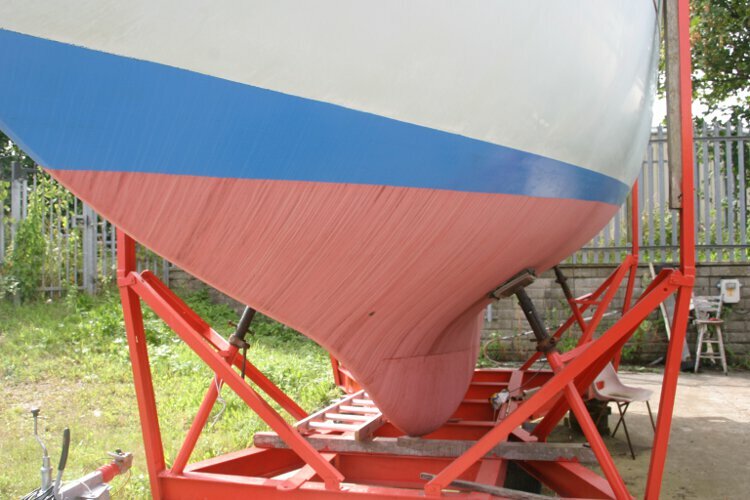 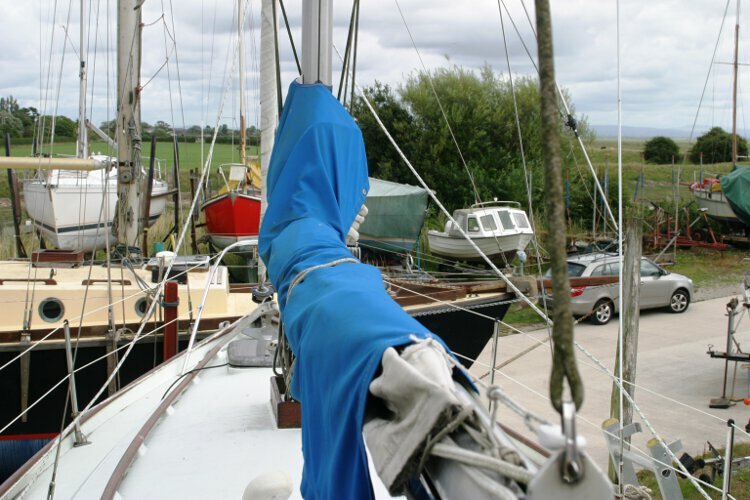 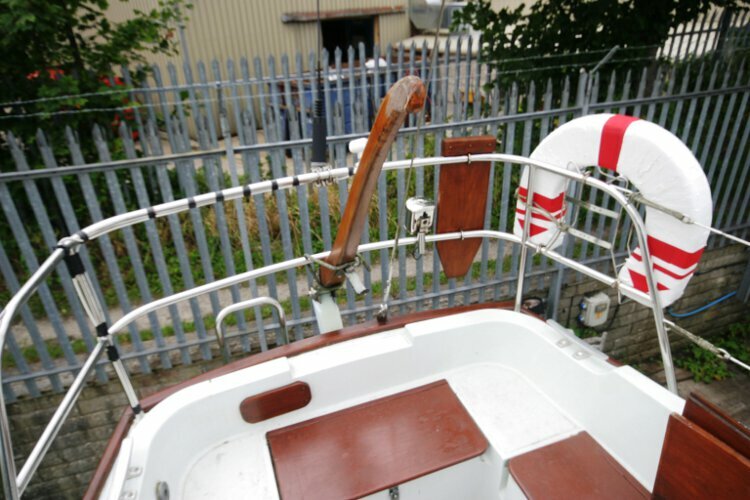 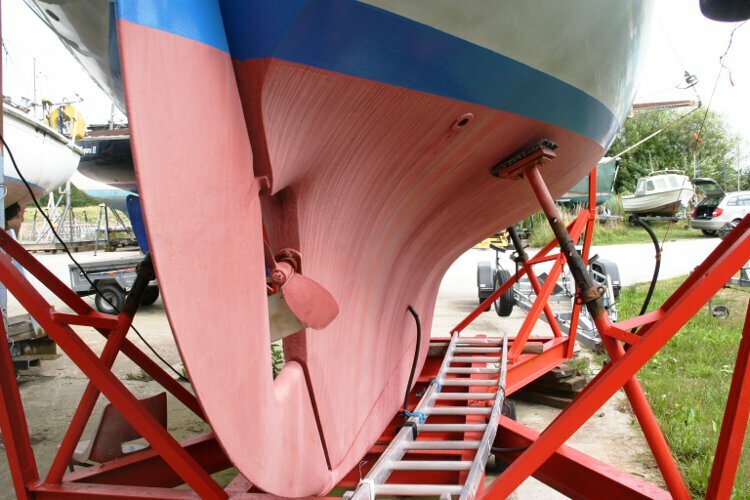 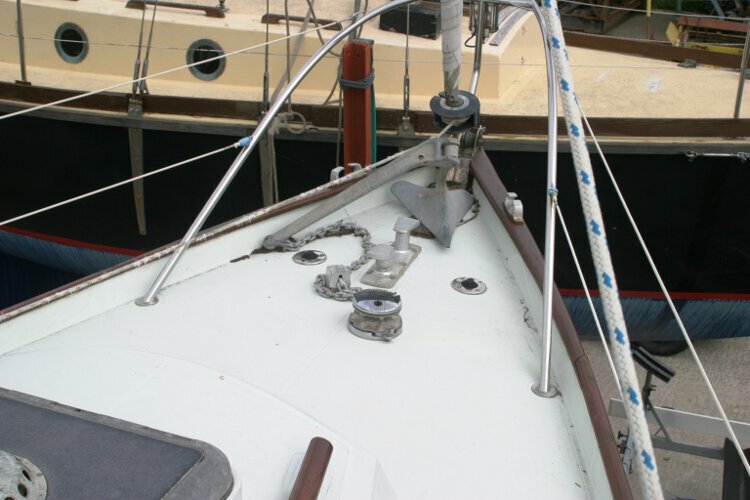 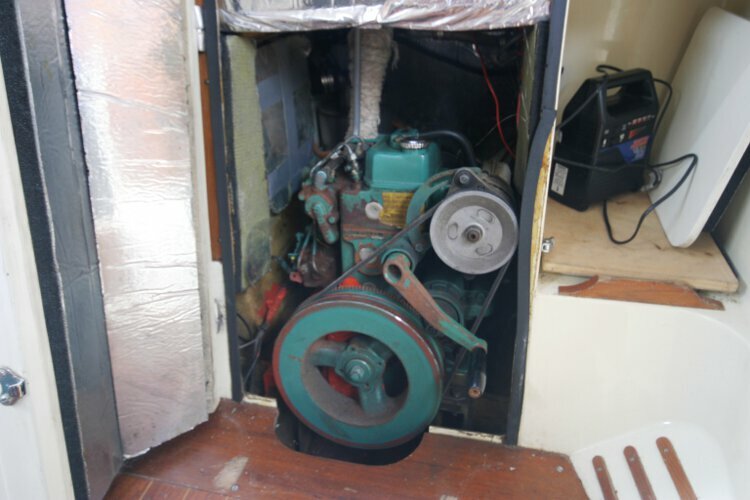 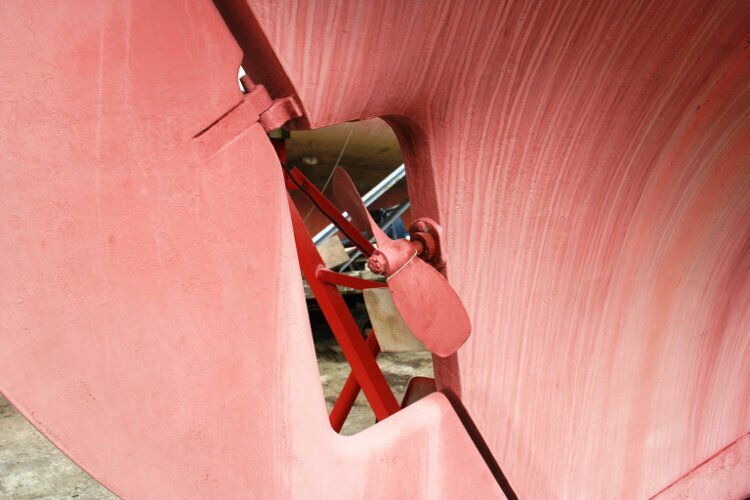 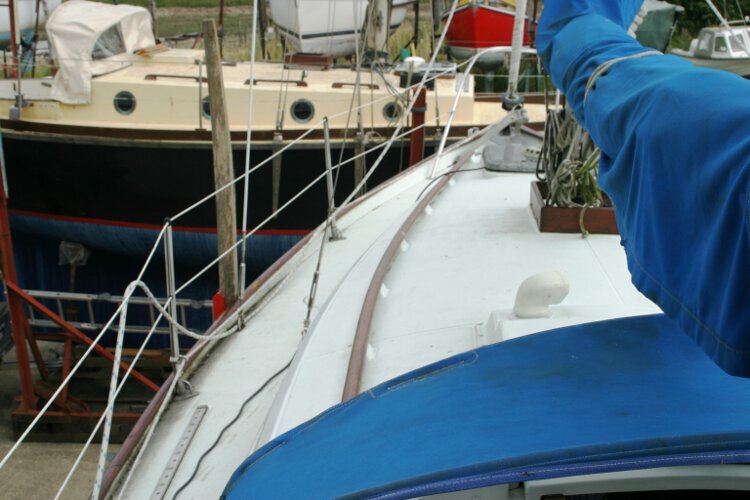 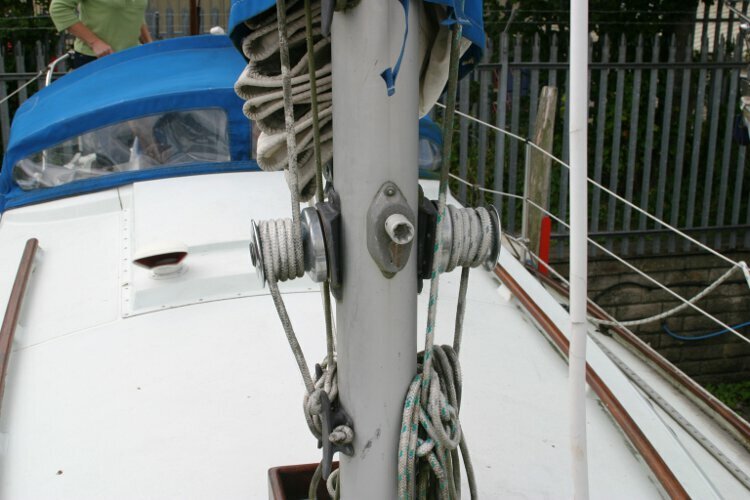 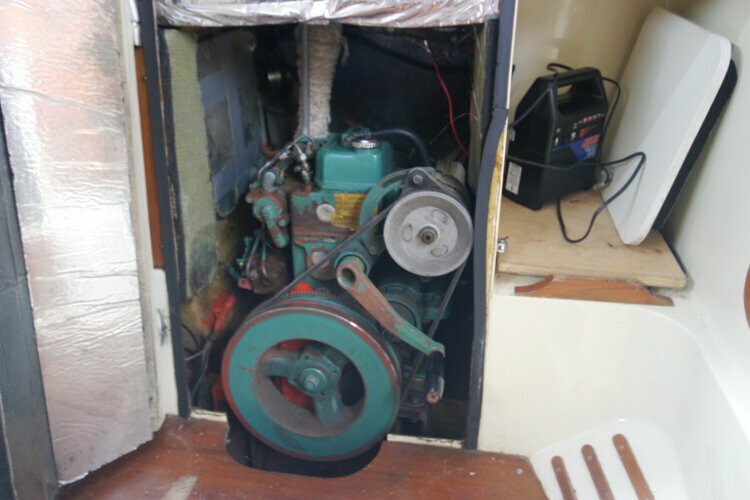 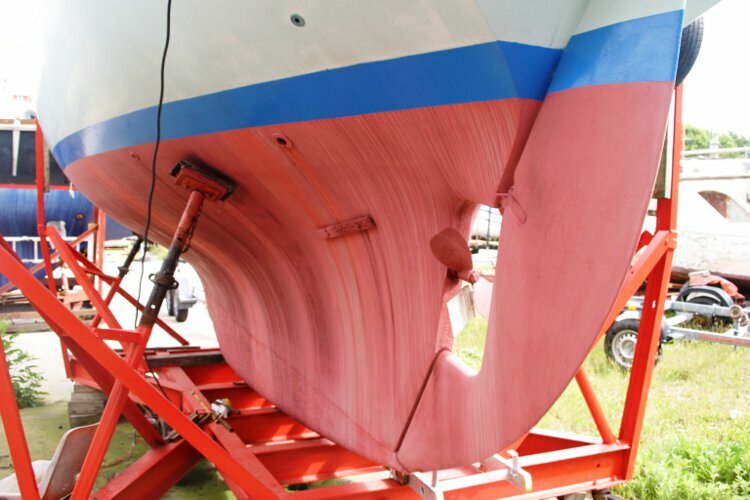 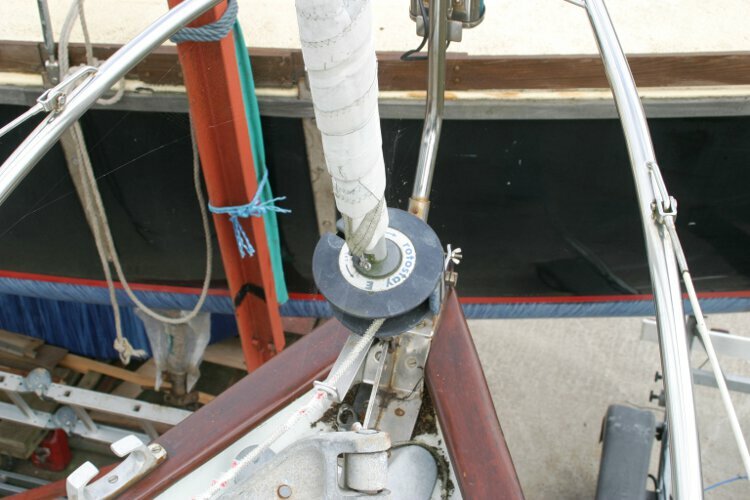 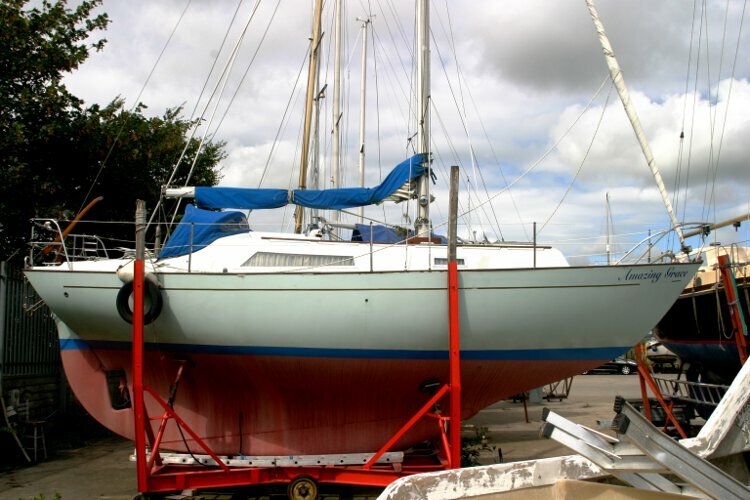 Note the keel hung rudder and her long keel which makes her a strong and sea worthy vessel. 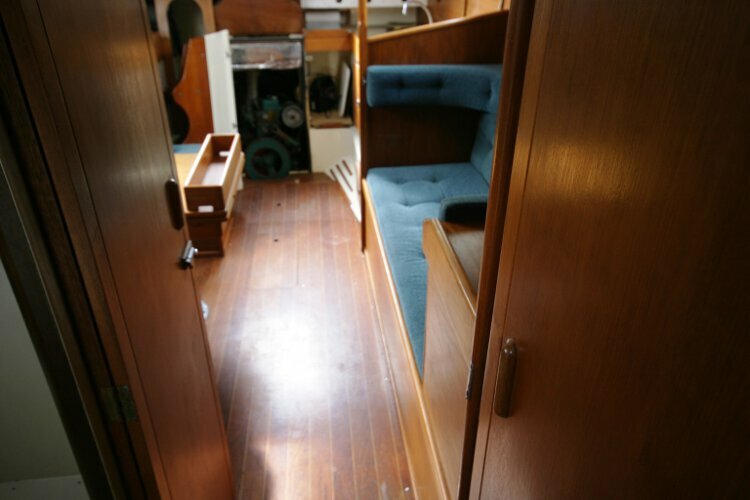 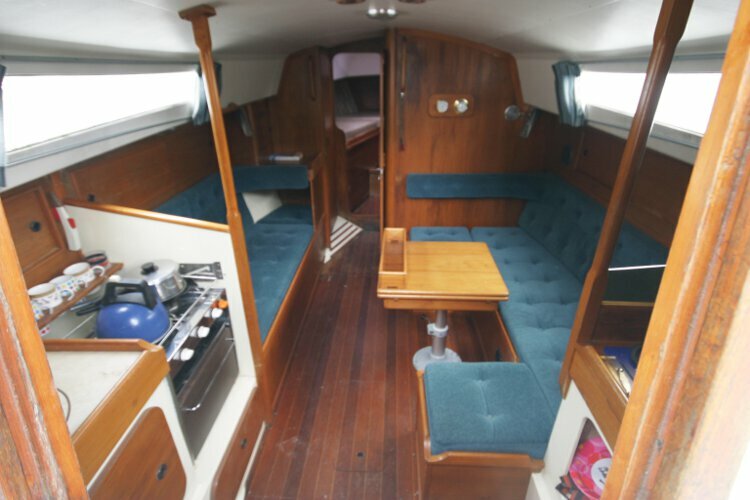 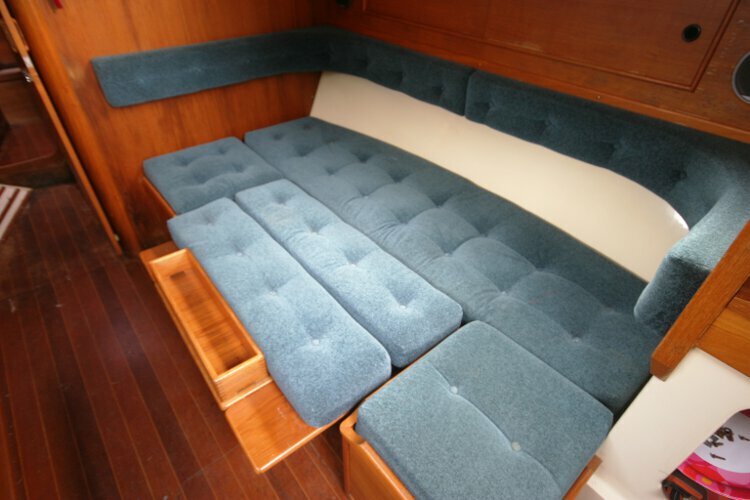 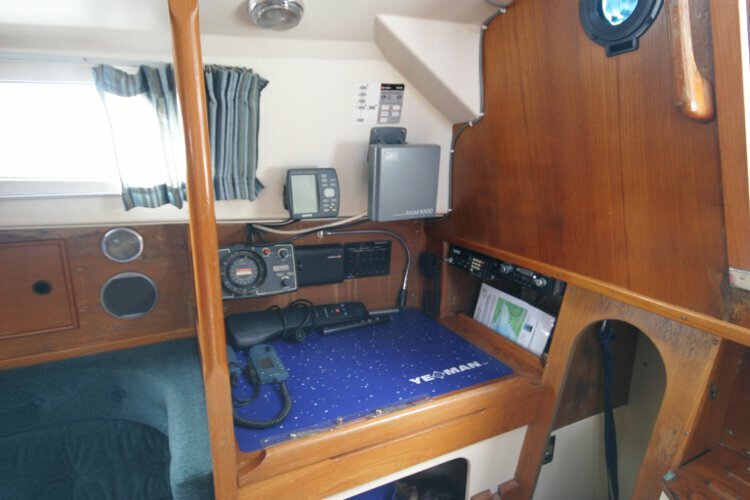 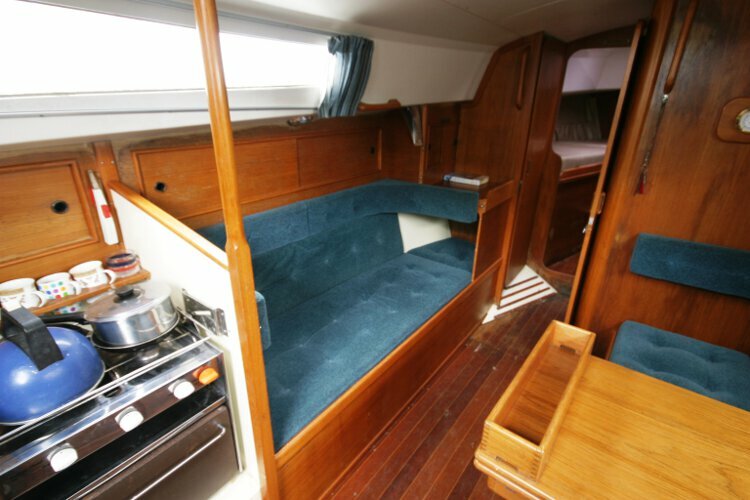 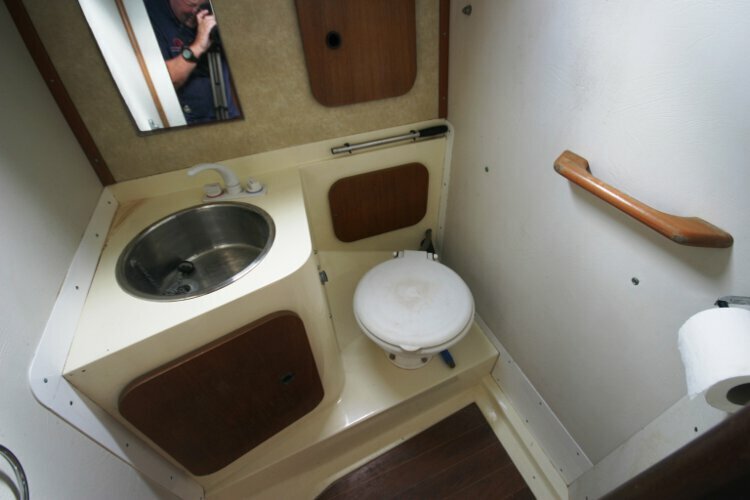 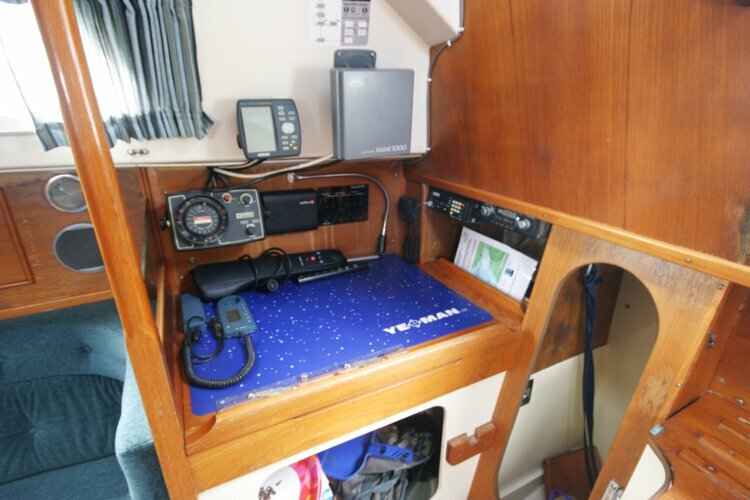 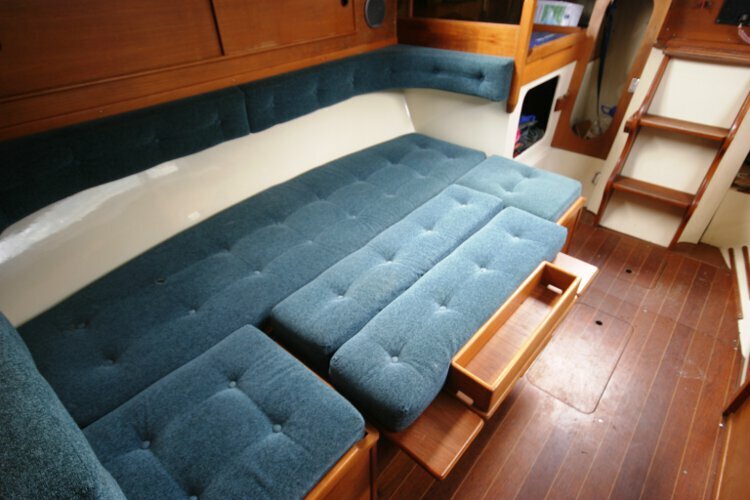 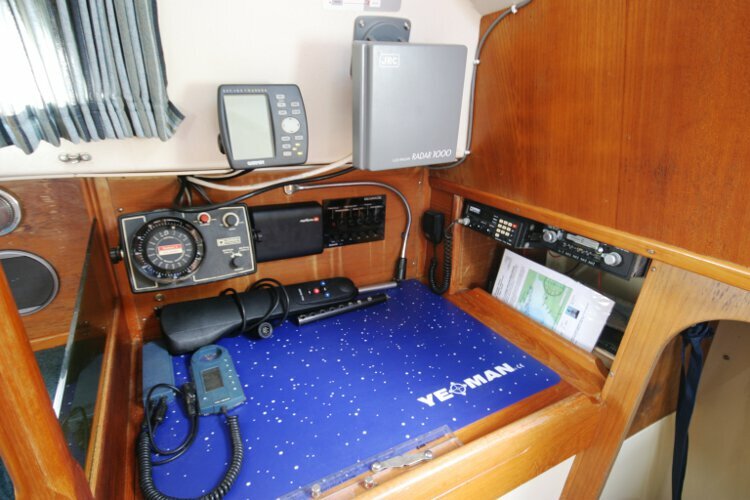 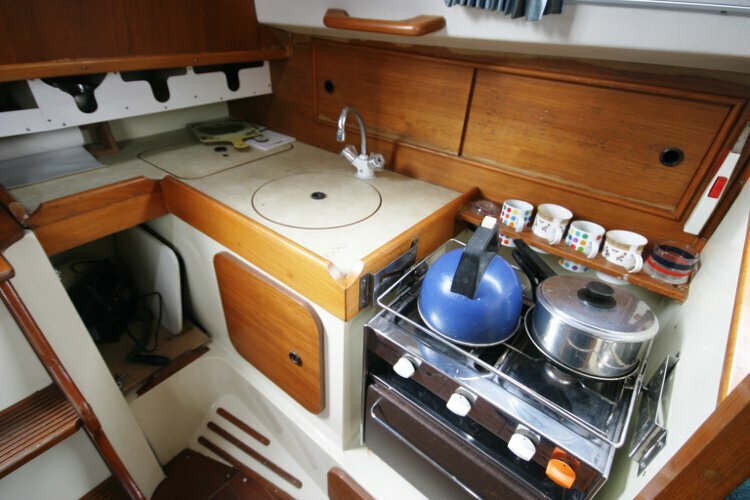 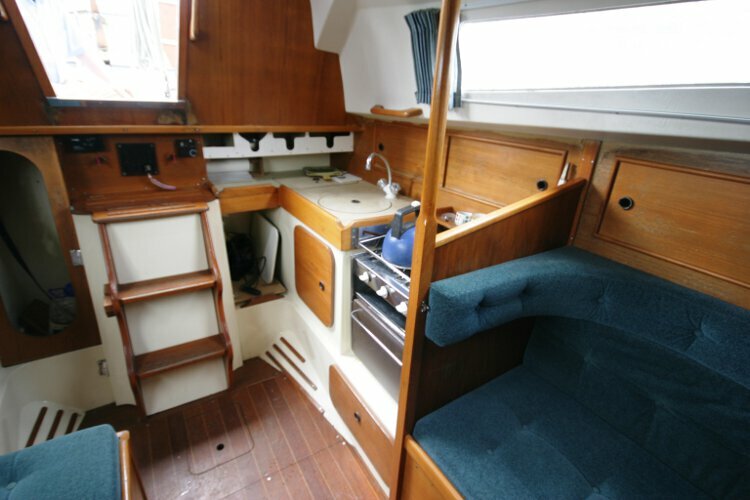 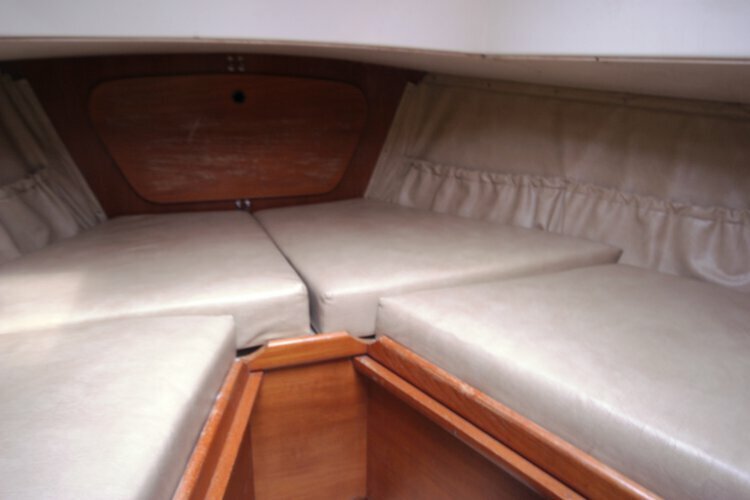 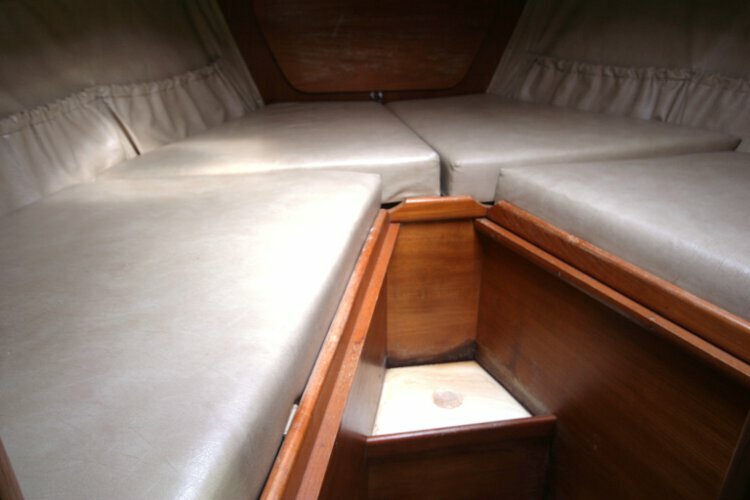 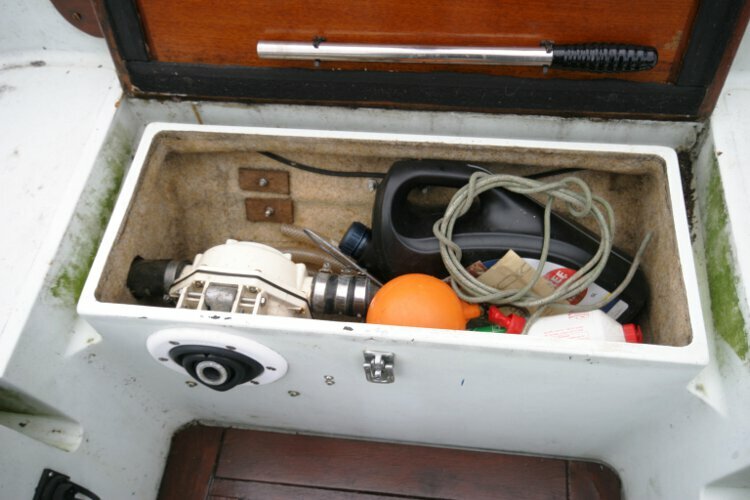 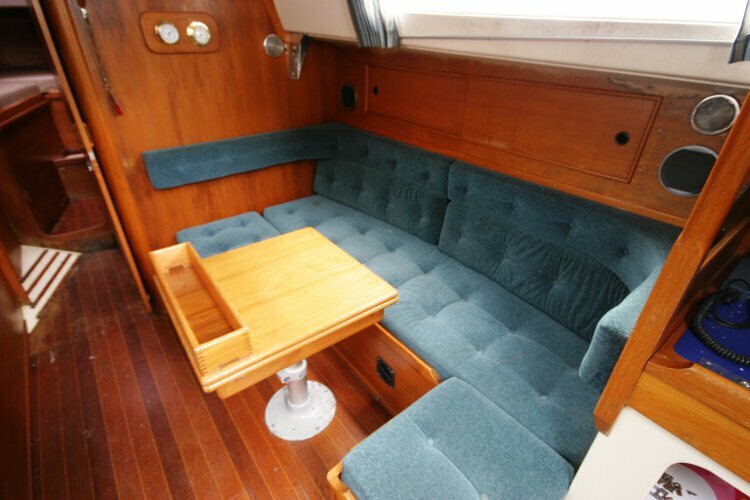 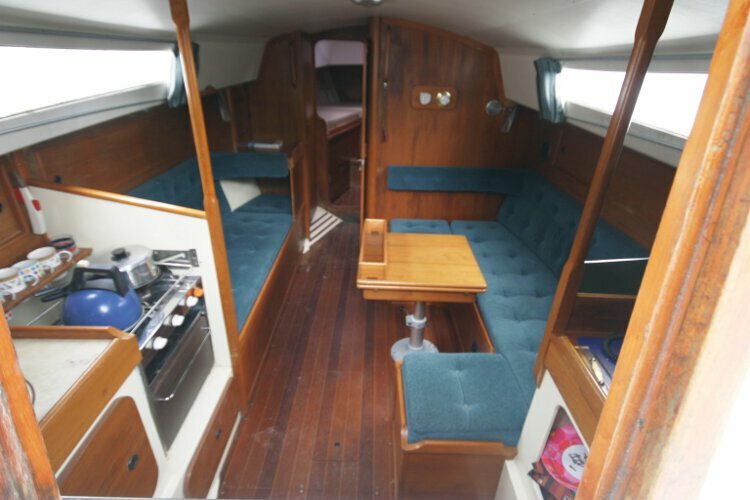 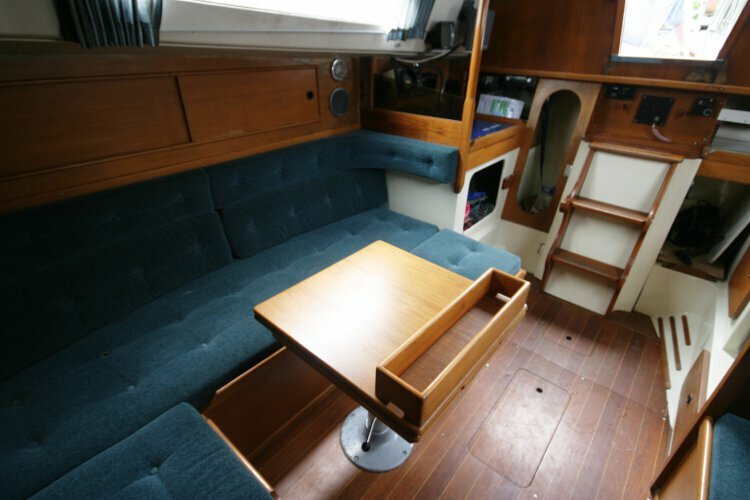 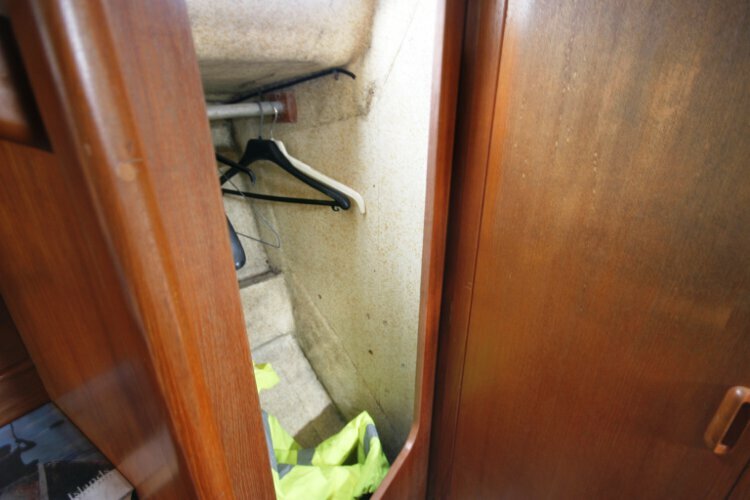 Another view of the settee berth and saloon table. 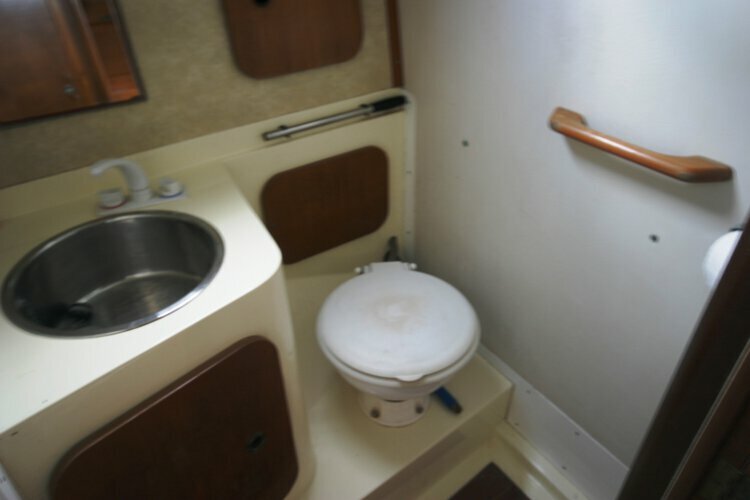 This can also convert to a double if required.